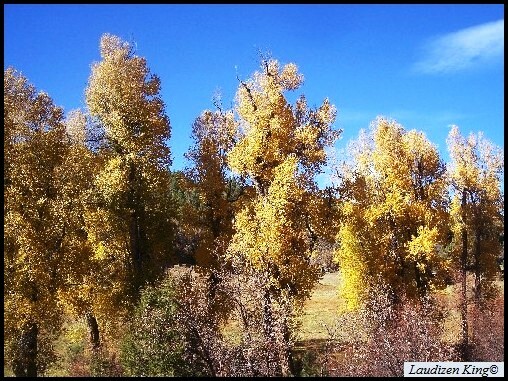 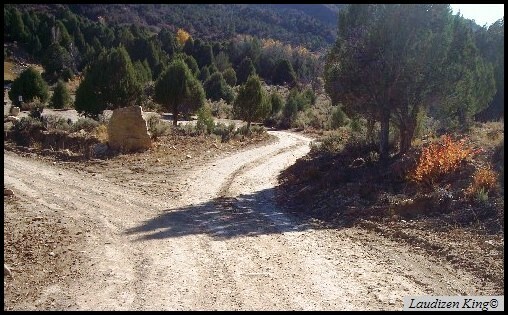 This is a two-page image gallery of the North Fork Road in Southern Utah. 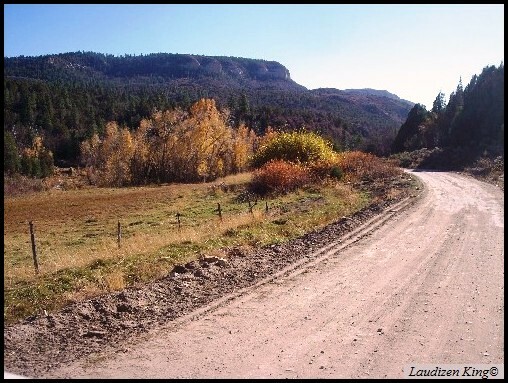 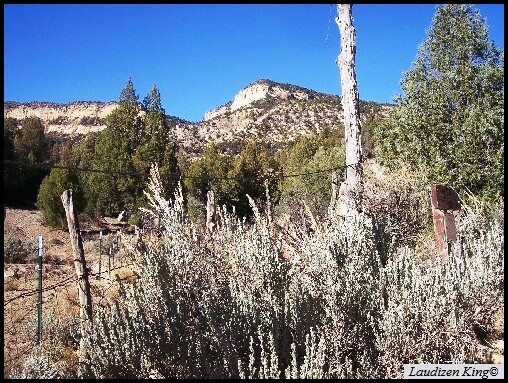 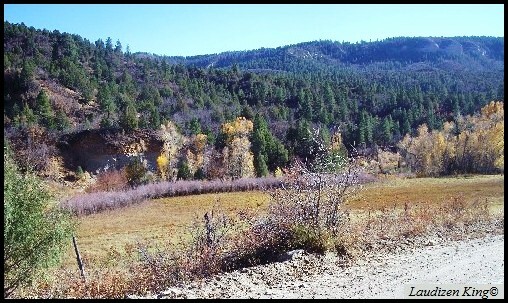 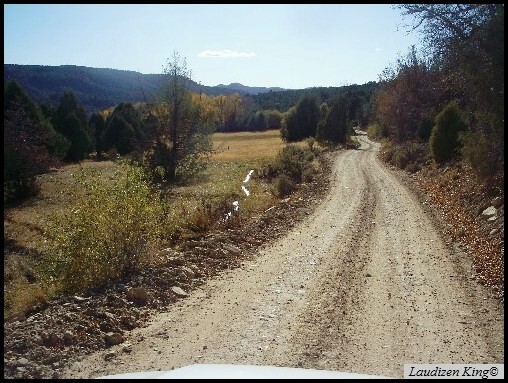 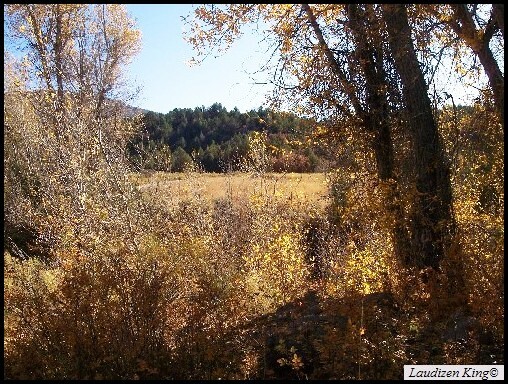 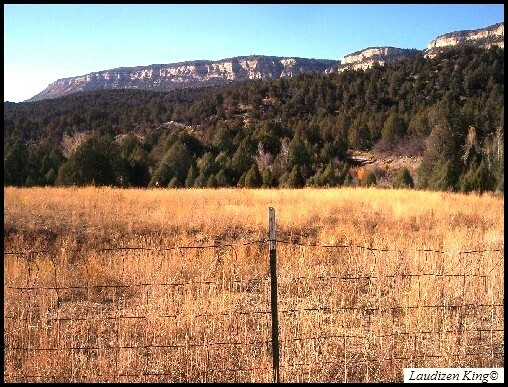 The 36 mile-long dirt road leaves the south side of Cedar Canyon Road (Rte 14) at an elevation near 9400' at a point between the high pass and the village of Duck Creek. 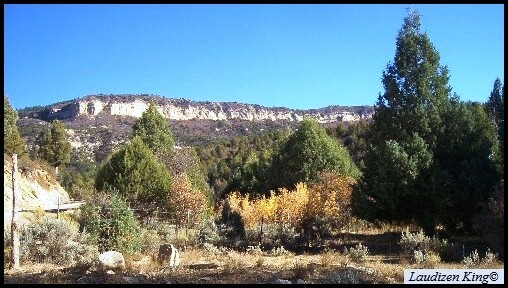 It descends quickly and follows along the south shore of Navajo Lake (about 9200' of elevation) before swinging over to head south. 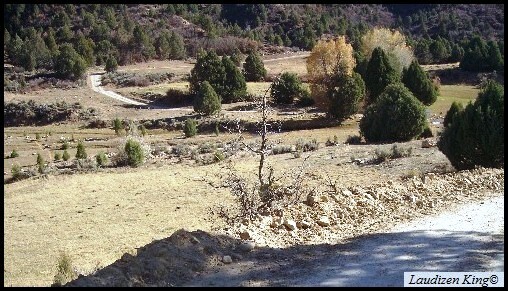 For the next thirty miles it descends some 4000' to emerge on Rte 9 east of Zion National Park.